Hello everyone and welcome to my review of the Drill Machine. 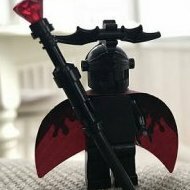 Firstly as always I want to thank Lego and the Eurobricks staff who made it possible for me to bring these reviews to you guys. 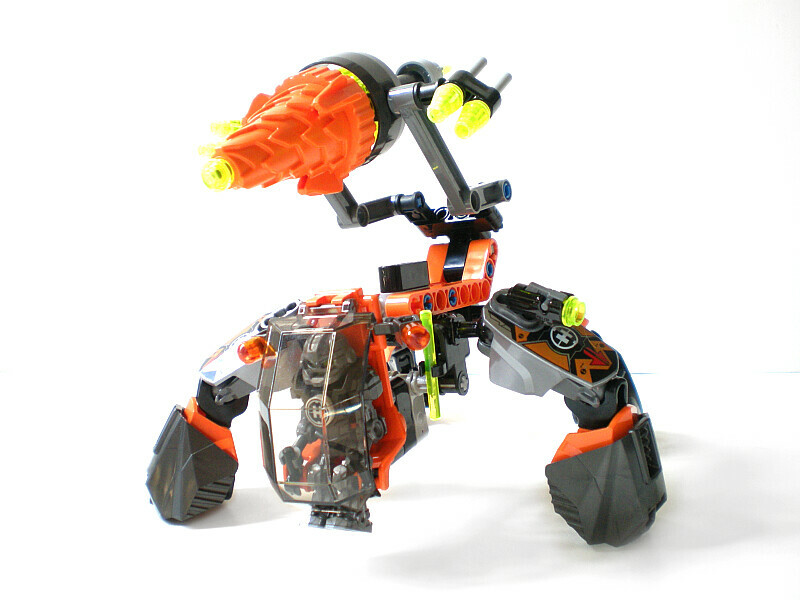 The Drill Machine is one of two medium scaled machines in the summer Invasion From Below wave. 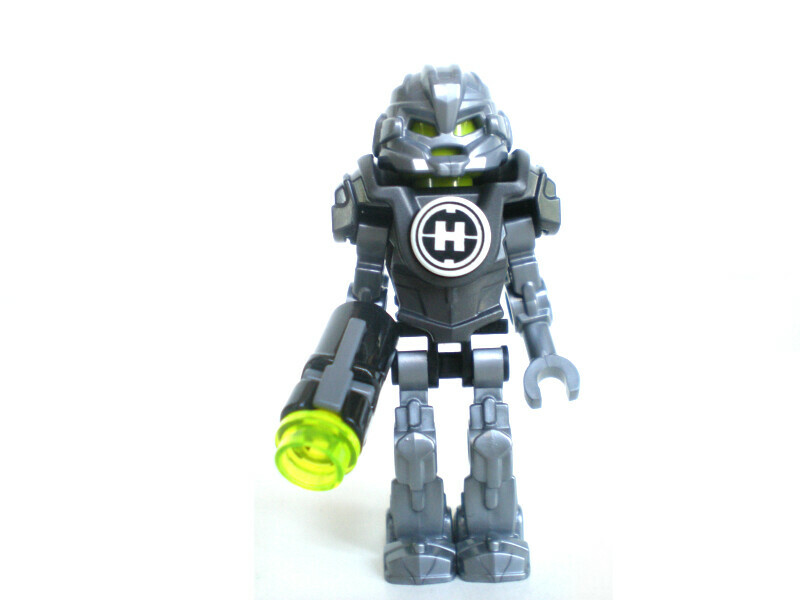 It's also the personal machine of Bulk, one of the two new additions to the minifigure lineup this wave. But is this machine really a good match for Bulk? Read on to find out! 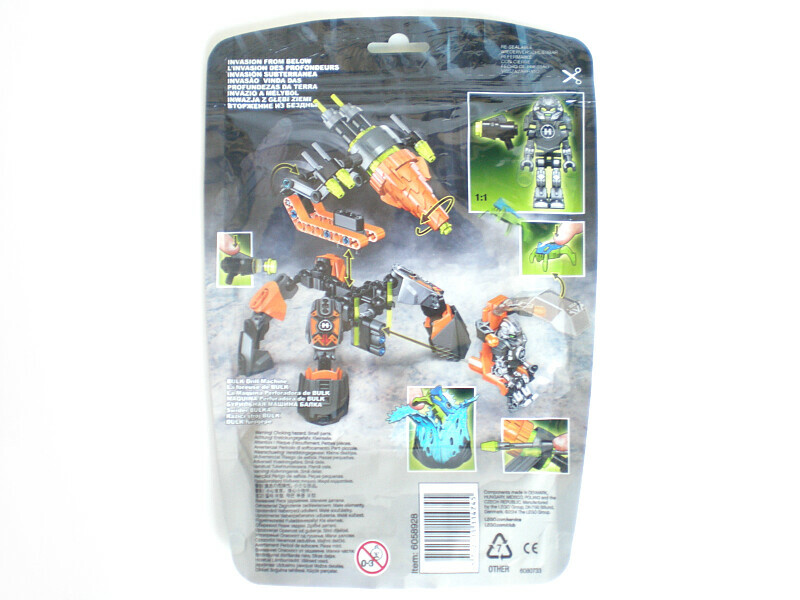 The front of the bag shows the Driller machine with it's drill flipped forward. He's in a rather large cavern, and is in the midst of combating a jumper, perhaps it would have made more sense if the gun side was flipped forward? I was fortunate enough to receive these sets signed by set designers, and I believe each respective set is signed by it's own designers. If that's the case, this set was designed by two people. However on the second copy of the set I received, there were three signatures. Which one is the mistake? 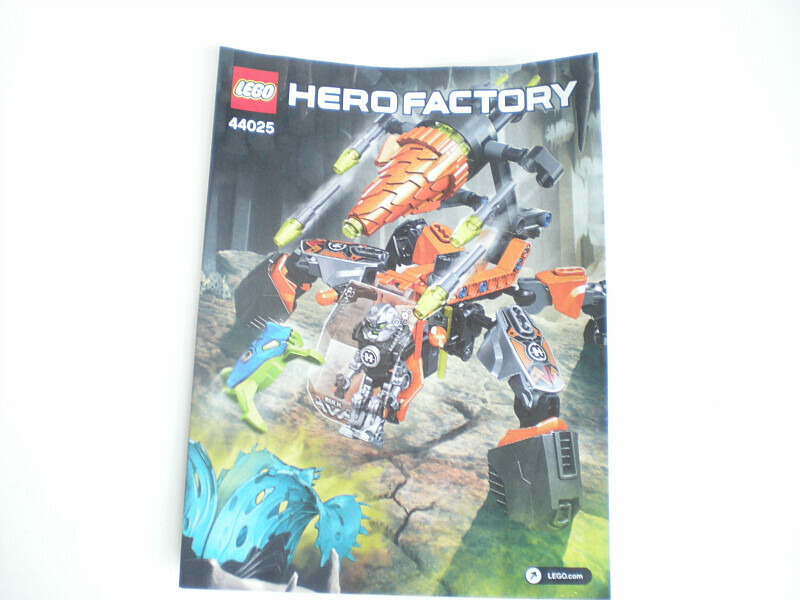 The back of the bag shows some of the set features. These include opening cocoon, firing missiles, firing guns, jumping jumpers, and a spinning drill. Sounds like this set is packed with fun. 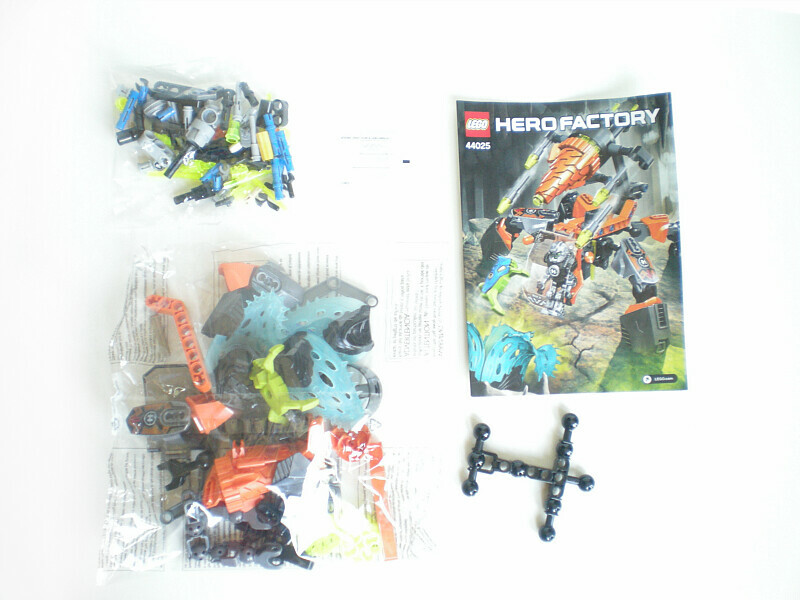 Two bags of parts, a loose torso, instructions, and a sticker sheet. The sticker sheet sort of blended in here and I don't end up using the stickers on the final set. Basically they are the same as every other canopy sticker set, just with the words Bulk instead of the other hero names. The instructions. For saving time, I only look inside the instructions in my review of the Queen beast and Combat machine. 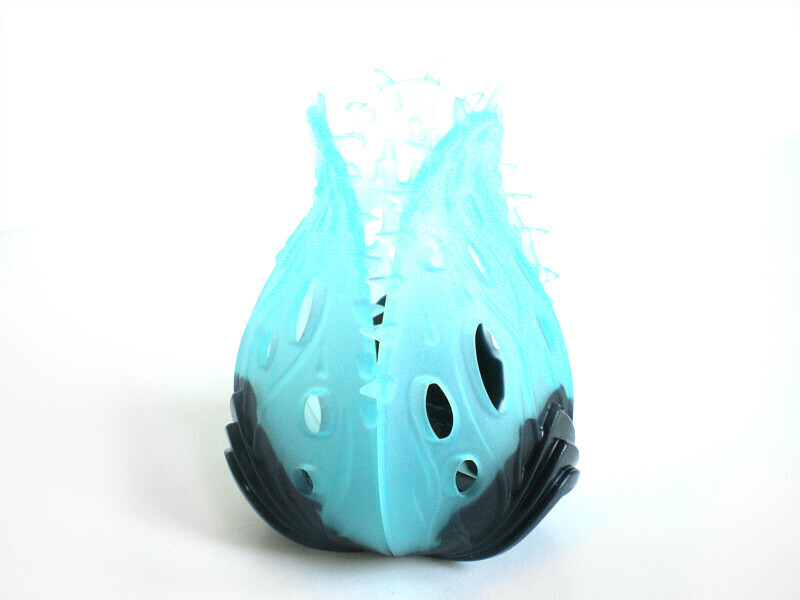 Firstly, we have the jumper shell in blue. The gun is not new, however it is new to 2014 and was not seen in the first wave of HF, so I have included it here for observation. 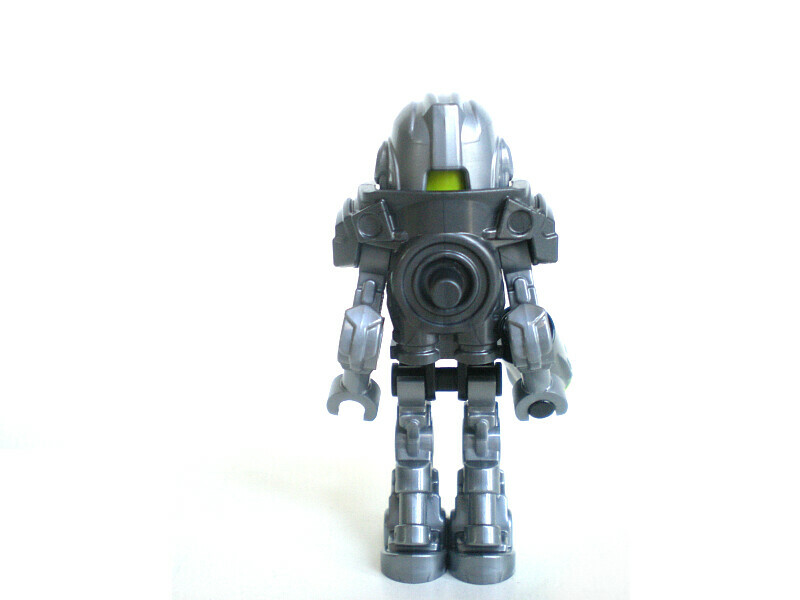 We also have minifig components recolored in silver, and Bulk's new helmet. 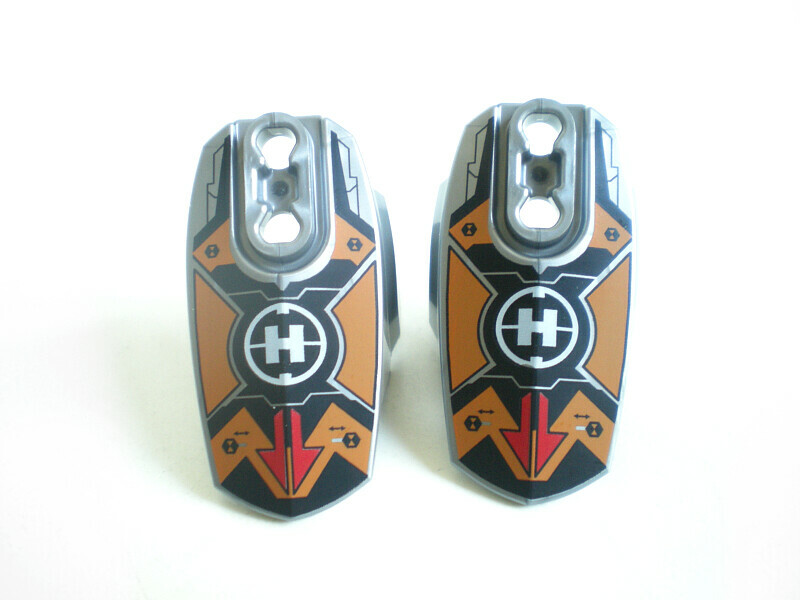 Here we have the printed piece respective to bulk. 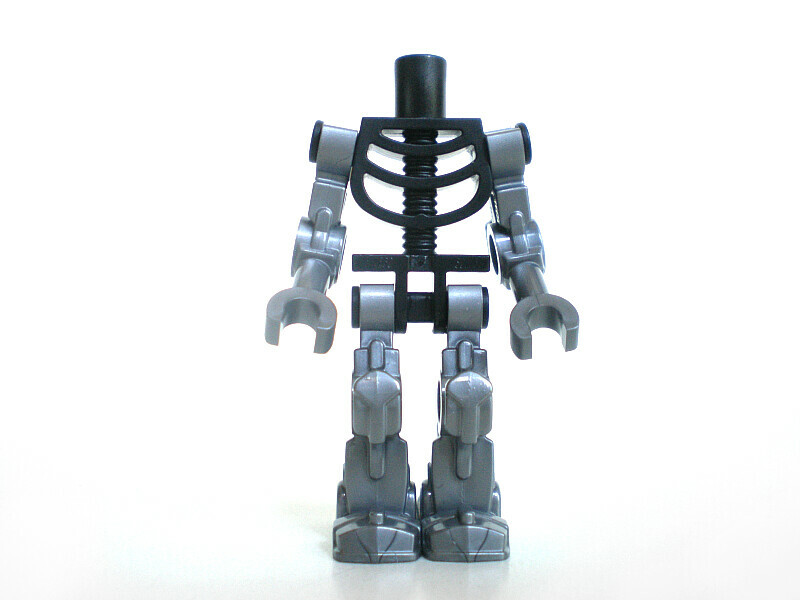 Bulk's build is the same as the other figures, starting with a skeleton torso as his base. Bulk overall isn't the brightest of figures- He is just shades of silver, black and gunmetal, which isn't bad. Something seems off however. Euuuhm. Green eyes? I would have preferred it fare more if they had been orange. A back view. Unlike his variant in the Crystal beast set, he does not include the flight rockets. The jumper in this set is a blue and green. While I'm upset we didn't get new body colors for these guys (i.e blue, purple, and GITD) the new blue shell creates a very bright jumper. I realize the petals were not analyzed in the new parts section. TO see the blue petal on it's own, please look here. It's impossible to see given my setup on this white backdrop, and I don't want to disrupt the flow with a black backdrop for one photo. Anyway, the cocoon can fold open and can hold a minifig or jumper. This is shown among all of my reviews- Given my annoyance with the petals in this review, this is the only photo that actually turned out halfway decent. 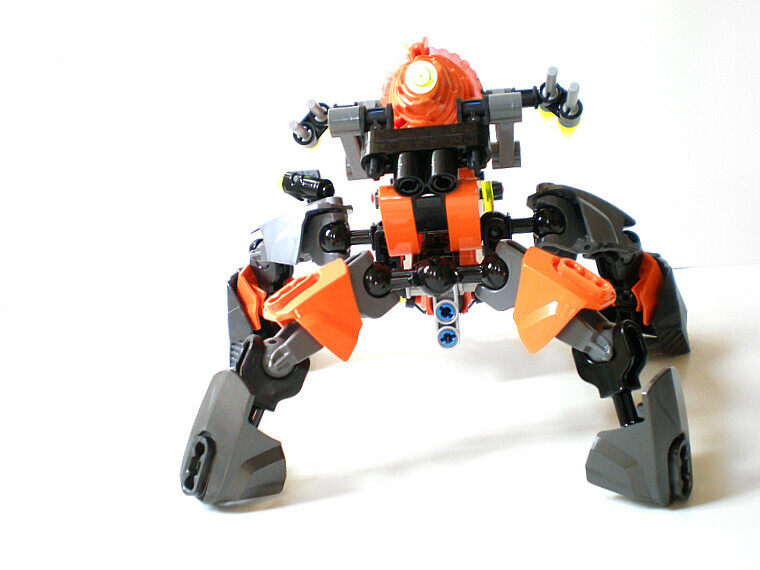 The body of the mech begins with a technic structure. It's a nice change of pace from what we've seen in the past with hero factory builds. The drill gets placed on, and four legs are built. I actually really quite like this machine. The color scheme is bright and lively, and it feel like an industrail machine as it should. I'm not sure what the lightsabers behind the cockpit are supposed to be, perhaps just lights? Spare ammo for the driller-cannon? 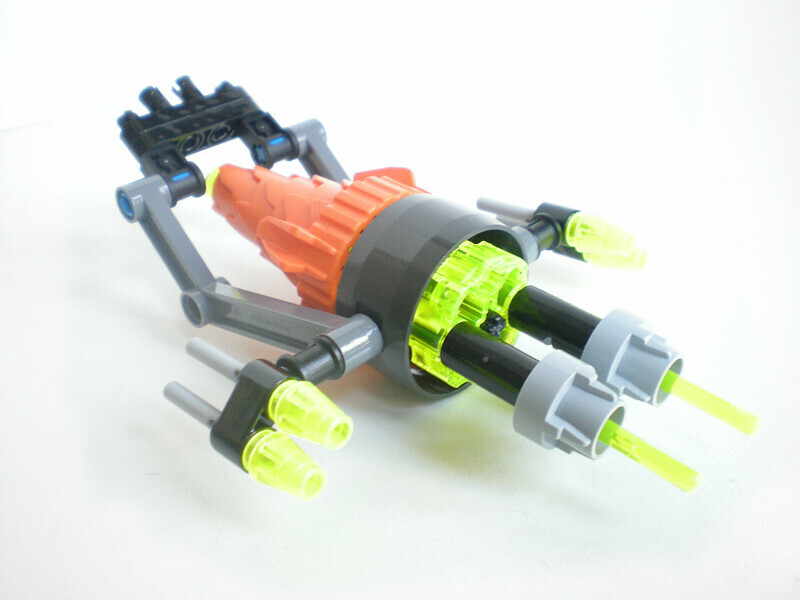 Unlike the "spider" machine and the flea machine, the connection point for the cockpit is made with a rather simple build, and leaves the lower torso of the machine empty. Nothing too exciting to speak of. Again, these machines are really hard to put into an exciting pose of any sort. If you try to crouch him down, the cockpit just hits the ground and then there's nothing else to do. 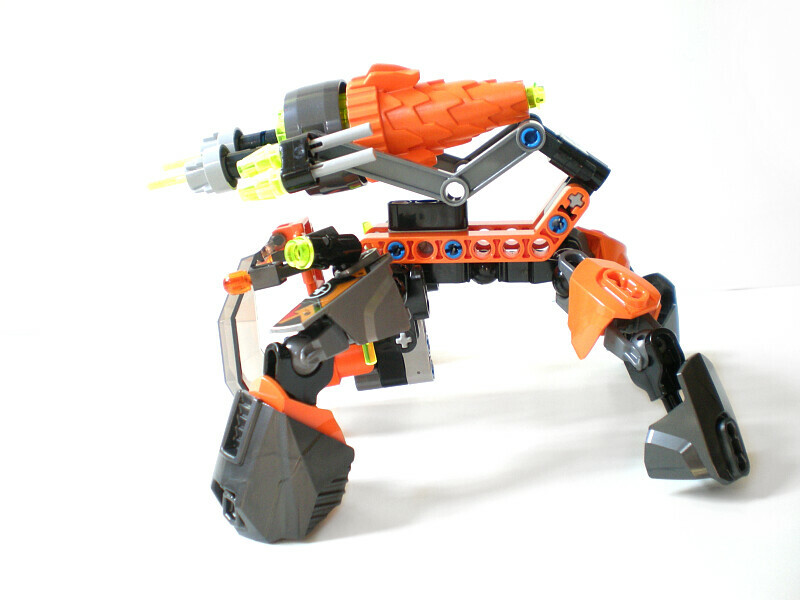 Also, when the drill is flipped out, the technic arms supporting it lose their grip and it tends to sag back down. While messing around with the figure, I found out you can actually do this if you desire. The construction of the cockpit allows you to actually position it downward, and with a few clips of the limbs you can achieve this. you may want to do a quick swap of the feet to stabilize him further, but it's cool nonetheless. Well, there are some things you can do with it. Certainly more than can be said about the flea machine. The Drill Machine was one of the few sets I was really interested in after seeing them at Toy Fair. 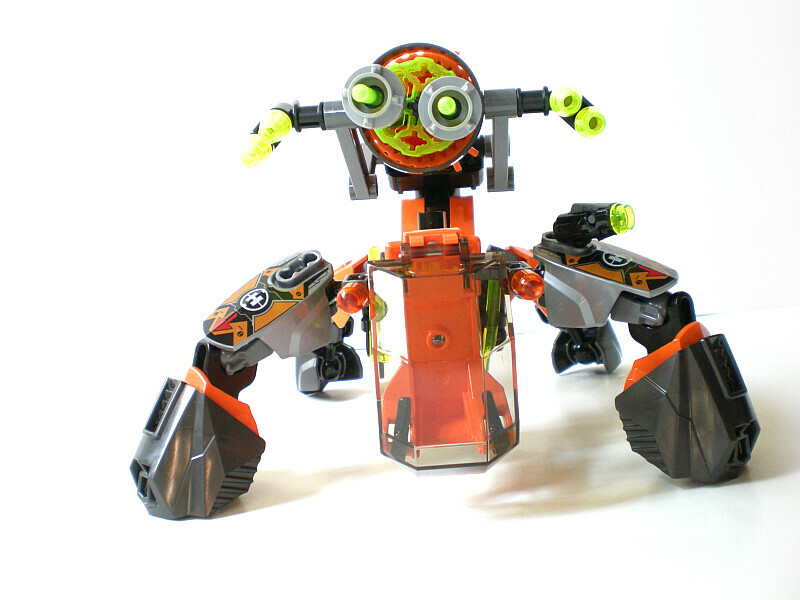 I like it's color scheme, and I appreciate the idea of a driller. With so many mechs this year just being combat based, it was good to see something that focused more on being a utility-machine, I imagine it as originally being a drilling machine that they outfitted with combat equipment at a later date. 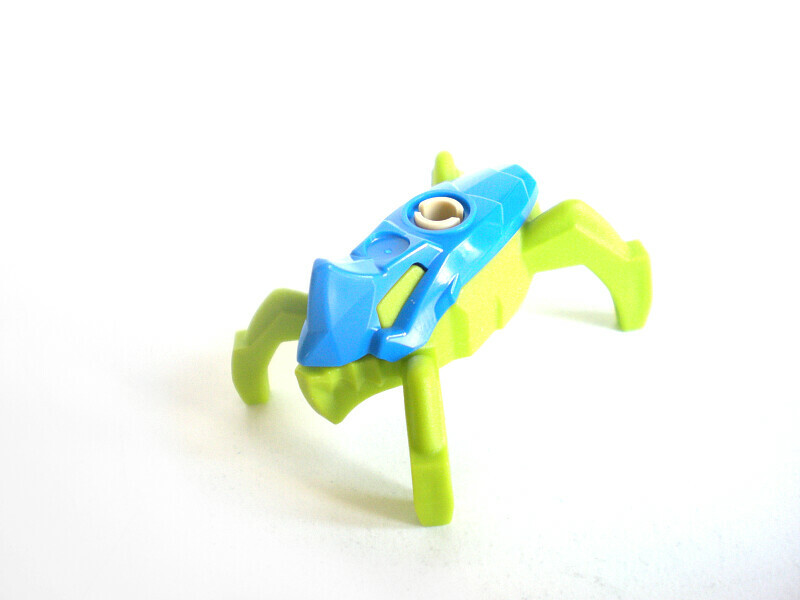 It's design is neat, and it's four legs offer more posing potential than the Flea machine. As a parts pack, you've got some nice bits here, but quite a lot of the parts are already featured in the other sets this wave, so it's up to personal preference on that front. This is fairly good for such a small set. ^ I agree. Not a bad set at all! I plan on modifying it into a Gurren Lagann-esque mech. It's cool how it is, but it's a mech with a drill, so it needs some heaven-piercing action. Like the others have said, this set isn't too bad. For a heavy duty utility vehicle it does seem to be lacking a bit of "bulk" around the middle, so to say, and it shows even more when the drill is in it's upright position. A shell placed on that exposed torso balljoint would rectify that no problem. 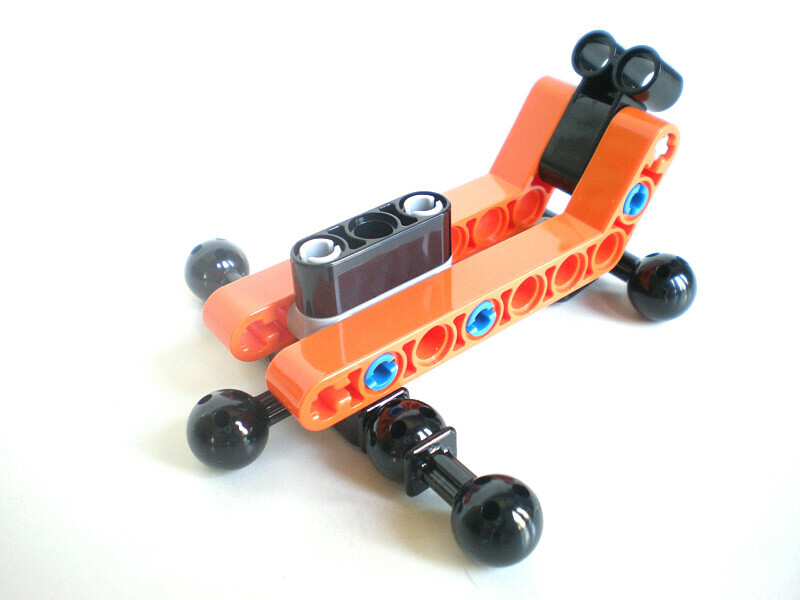 As a parts pack, this is probably the most lackluster to me out of the medium sized sets, as it's quite rare that I MOC with Technic... or with orange for that matter. The orange drill piece is nice, but again, not sure where else I could apply it. To me, the mech itself is worth more than it's parts. I'm definitely thinking of swapping out Bulk's lime green head for one with a more orange hue. Overall, a good set, if not my absolute favourite set, and thankyou for bringing these reviews to us! I'm definitely thinking of swapping out Bulk's lime green head for one with a more orange hue. 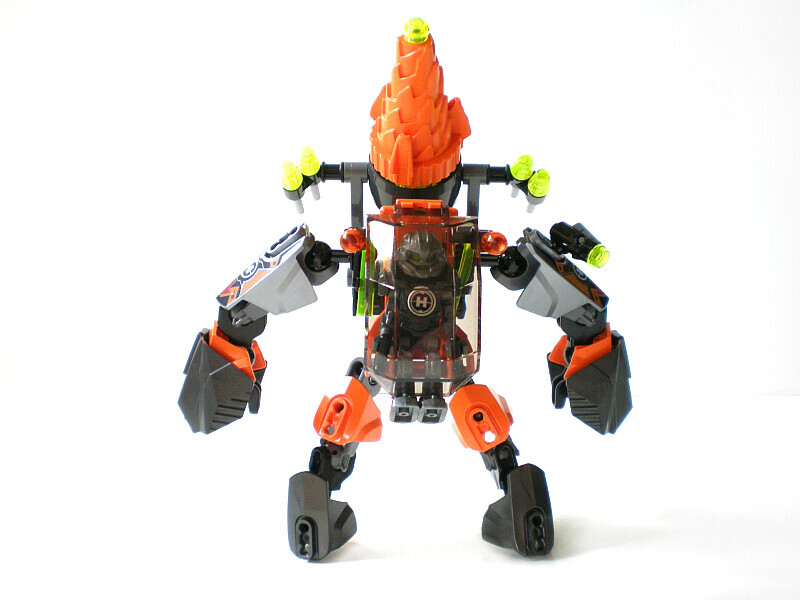 LEGO should have switched Bulk and Surge's heads around, it would have been much more consistent with their previous sets. Wow! Way better than I thought it was going to be. Bulk with a drill. Again? Machine' fits with Bulk's color scheme, and that orange chair doesn't look so jarring here. I like the orange drill here. The trans-lime green somehow looks less awkward and more.. exciting.. to me here. Not a fan of the flick-fire missiles much, but at least we have backup if the drill fails! Speaking of which, the flippy-fold function looks very cool. Needs a little belly-bulk, but otherwise, it looks solid! I agree with the eyes, though. Bulk's eyes. Swap his head with Surge's, all the problems in the world are solved. I like the bright jumper and that almost icy cocoon. Love the color on that. While it's not the top of my list, it looks like a cool set. Thanks for the review! I wasn't interested in this set first, but it's a fairly well-built machine, I like the sturdy look of it and the color scheme. 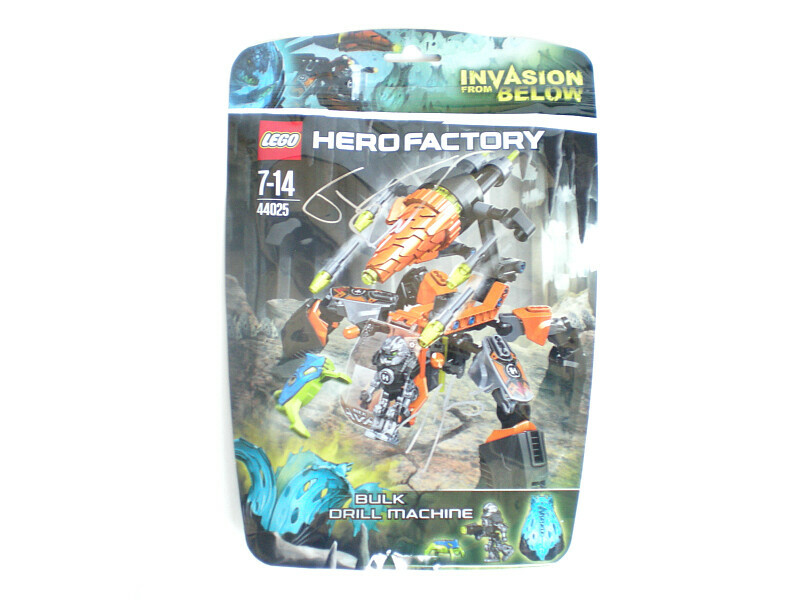 The idea of the swapping drill and laser cannon is also great, and I'm fond of these new cocoons and it looks super is light blue, thanks for the review, I won't get this one but it's still a decent set. Good review. I love how sturdy this machine looks. It's also cool how much articulation the drill has. I imagine you could also point it downwards, behind the machine, to drill a vertical hole. 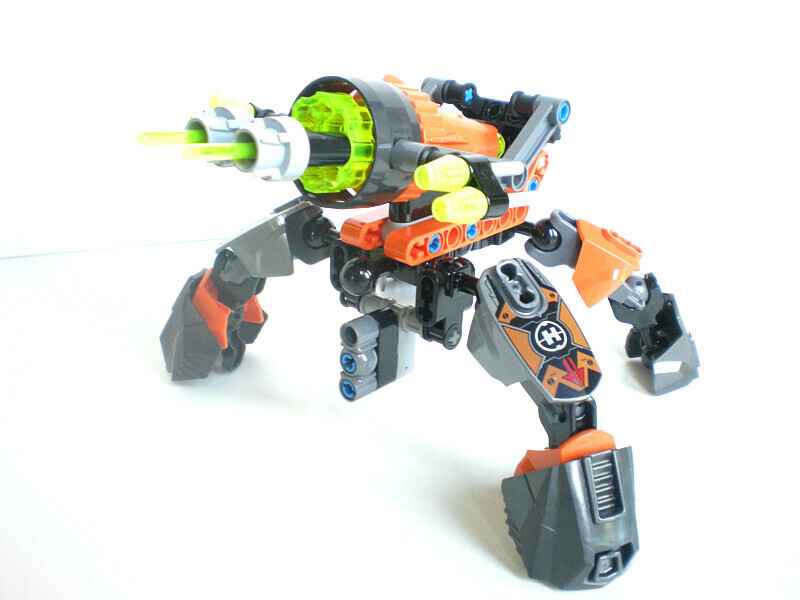 Structurally, this set is very reminiscent of MT-201 Ultra-Drill Walker from the Mars Mission theme. I wonder if you could take a picture of Bulk and Surge with their eye colors switched? Seems to me that would be much more true to their classic eye colors (Tr. Fluore. Green for Surge and Tr. Fluore. Reddish-Orange for Bulk). Once my family has all the heroes I will definitely want to see how they look with more classic eye colors — maybe even their 2.0 eye colors, except for Evo for whom that is sadly not possible. I would like to see that very much as well. 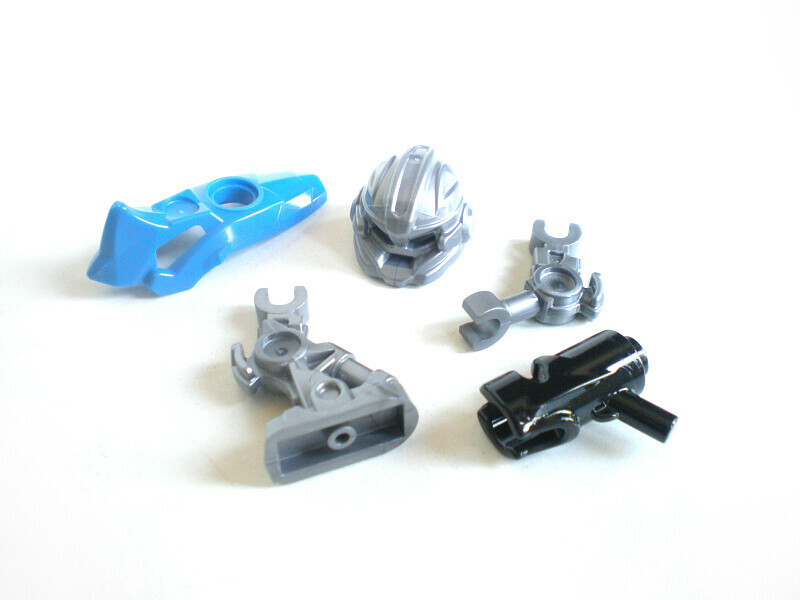 Whilst an exact color match, perhaps the Chima minifig 'Vardy' character's head, turned backwards, could work? Vardy doesn't have an alternate expression as far as I'm aware.. It could work!